Gordie Howe is "not doing well at all" several weeks after suffering a stroke, according to his son Mark. 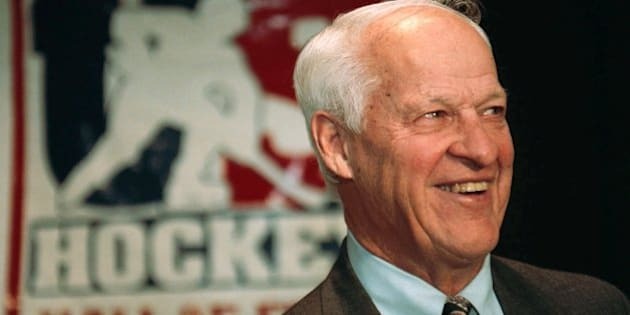 The Hall of Famer known as "Mr. Hockey" had initially been improving better than expected, but that changed recently. "His health has taken a turn for the worse this past week to 10 days and we are doing what we can to help his situation the best that we can," Mark told The Canadian Press. "But he is not doing well at all is the bottom line." Gordie Howe, 86, had a stroke Oct. 26 while visiting his daughter in Lubbock, Texas. His family released a statement Nov. 4 saying the hockey legend was "recovering at a remarkable rate." News began to surface this weekend indicating that was no longer the case. In an interview with "The Hockey News," Mark Howe said his father's situation was "headed in the wrong direction." "As a family, if we're not going to be able to reduce his pain, the outcome is not going to be good," Howe told THN. In the Nov. 4 statement, the Howe family said he was moved by the tributes around the NHL and letters he received from fans. The Toronto Maple Leafs put up a "Stay Strong Mr. Hockey" message, as did many other teams. Howe's family showed him the Detroit Red Wings' in-arena tribute, and he was noticeably emotional. On Sunday amid reports of his declining health, Colorado Avalanche star Matt Duchene tweeted: "Praying for one of the greatest number 9s, Mr. Hockey #Gordie #Legend." Howe is considered one of the greatest players in hockey history. His professional career spanned five decades, most notably with the Red Wings. He played 25 seasons with the Red Wings, making his debut on Oct. 16, 1946, and led them to four Stanley Cup titles. Howe left the Red Wings to join the World Hockey Association's Houston Aeros for the 1973-74 season, and played six seasons in the now-defunct league before returning to the NHL for one final season with the Hartford Whalers in 1979-80. He played in one more professional game, taking a shift with the IHL's Detroit Vipers in 1997. Howe played 1,767 regular-season NHL games, scoring 801 goals and adding 1,049 assists for 1,850 points. Known for toughness as much as scoring in his playing days, he also amassed 1,685 penalty minutes. He had 508 points (174 goals, 334 assists) in 419 WHA regular-season games.